DCI John Meredith’s team are horrified when the daughter of one of their own is abducted, but her disappearance is only the start of a series of attacks on young girls in Bristol. To catch the abductor, they must first work out what motivates him, but time is running out, and he might just slip their net. Hodge begins to question her new career as a private investigator. But a seemingly mundane case soon finds Patsy, herself, being interrogated and hand-picked for a very different assignment. In the midst of the tension, Meredith’s ex-wife drops a bombshell that may change their lives forever. 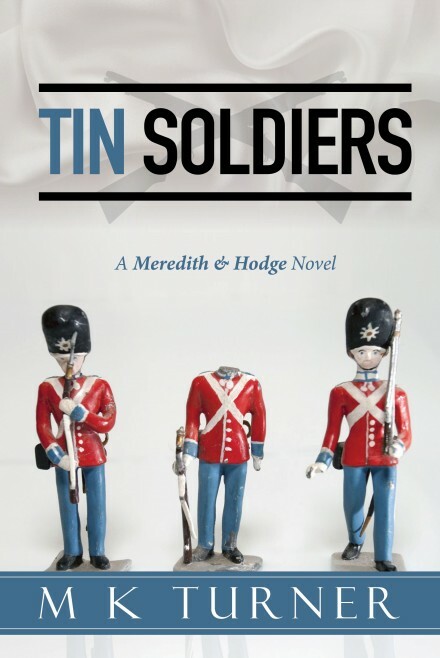 Tin Soldiers is the fourth book in the Meredith & Hodge series. If you like great story telling, surprising plot twists and compelling characters, then you are ready to meet Meredith & Hodge. Pick up your copy of Tin Soldiers today.